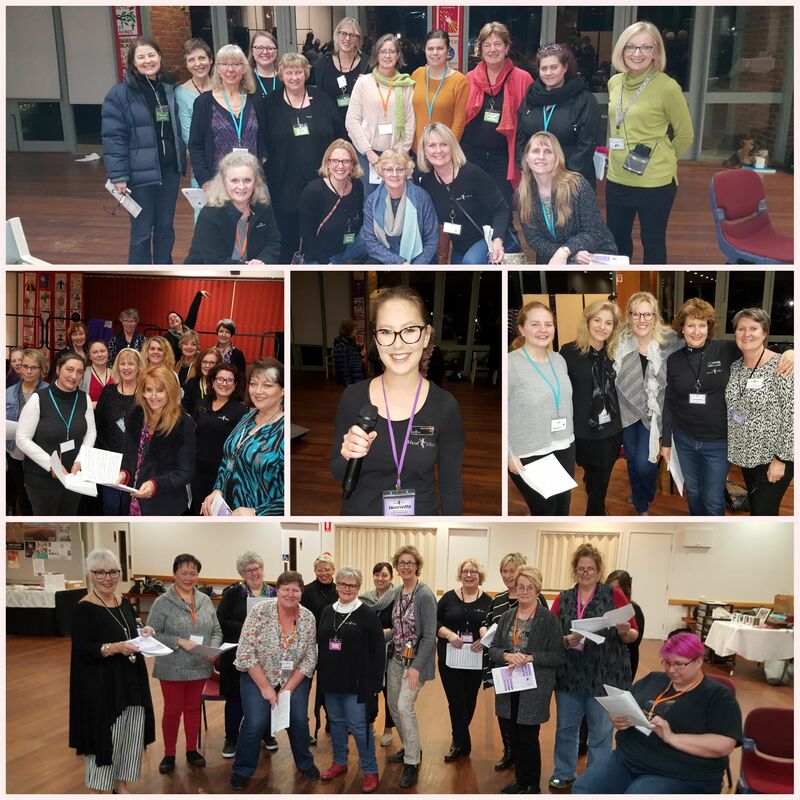 Vocal Vibes - 2018-08-16 - Chorus News Item: A Cappella Workshop Fun! Wow! What fun we are having sharing our hobby with others. 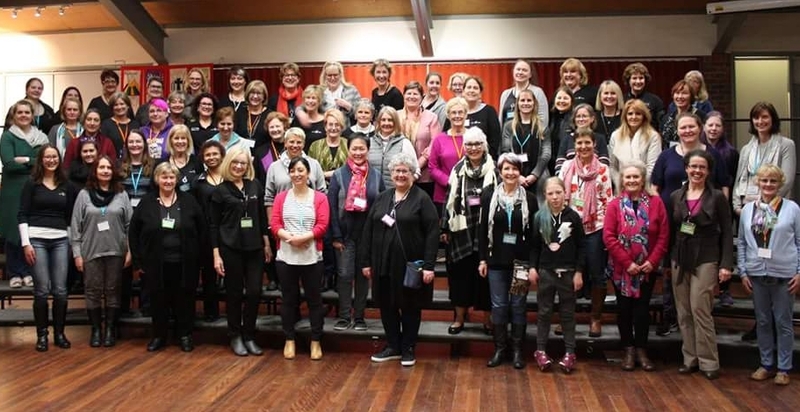 We kicked off week one of our 'Learn to Sing A Cappella' workshops with an amazing 33 women joining us on the risers. There were smiles all round as we harmonized for the first time together. The sound was awesome! Week two bought even more adventure as we sang through the song we learnt last week with confidence and began the new song... 'Fields of Gold'. Hat's off to Henrietta (Director extraordinaire) and the Music Team for assisting us with our learning of all four parts to the half way point. We can't wait for next week. Bring it on! Come and visit us on one of our regular rehearsal nights any time after September the 3rd. Hope to see you one day soon!